Choose a niche that you are actually passionate about. If you are passionate about something, then you can also write interesting content about it seamlessly without having to write fluff content. Focusing on a specific niche will make your blog content with blogs of the same niche. Doing otherwise will get you nowhere. When writing a blog post, the sole aim must bet to keep the reader interested and satisfied. Always make sure to reply for the comments and provide support for the readers. Make them wanting to come back to your blog. The first thing a user does when entering a blog is skimming. The long paragraphs make them leave your blog as soon as they enter it. On the other hand, if you write short paragraphs with separate headings, they will get more interested. From the reader’s perspective, the post title plays an important role in the number of clicks. If the title is not attractive enough, people won’t open it. So, try to make an attractive title that makes the users curious to read the post. In order to be on top of the search results, your blog posts should be SEO friendly. Try to learn various SEO techniques like back linking; appropriate keyword density etc. having the content optimized will help in boosting the page rank of your blog. Always try to post content on a regular basis. It will hold the page rank from dropping down. If someone loves your posts, they will always check for new content. Be sure not to disappoint those readers since they are considered as an invaluable asset for your blog writing. The blog posts are not a place to show off your literature skills. The audience may not have the knowledge of complicated words and phrases. Always try to get to the point using a plain language. But don’t make it too simple, and never ever compromise on the grammar of the content. Include related images with every post you write. The images grasp the reader’s attention and provide visual stimulation of the written content, making the audience to easily understand the content from the author’s point of view. You can find profile writing services and good newsletter writing services with SEO content writing services also. 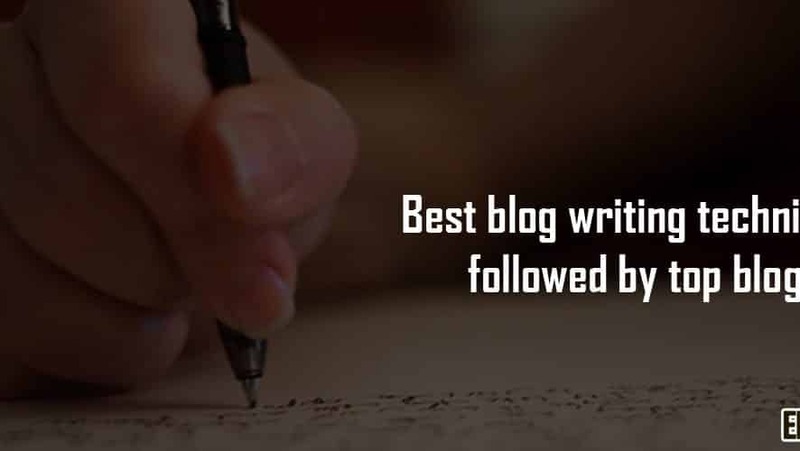 If you follow these wise words from the top bloggers, you will be able to write interesting content that draws readers and you too could be one among them in the future. I hope the above best blog writing techniques will be helpful for you.